The two new Windows 8 notebooks are launched at the same time the company announces that all of its PCs will be sold under the ATIV brand. As Samsung Ultrabook Terbaru continues to expand its presence in the PC world, it has decided to consolidate the naming of its various systems under the ATIV brand. (So its all-in-one PCs are now ATIV Ones, its Windows 8 ATIV smart PC tablets are now ATIV Tabs, and its Series 7 and 9 laptops are now ATIV Books.) To mark the occasion, the company has introduced a pair of new laptops in the ATIV Book family. he ATIV Book 5 (pictured above) is a 14-inch Ultrabook that weighs a shade over 4 pounds and is under an inch thick at its narrowest point. 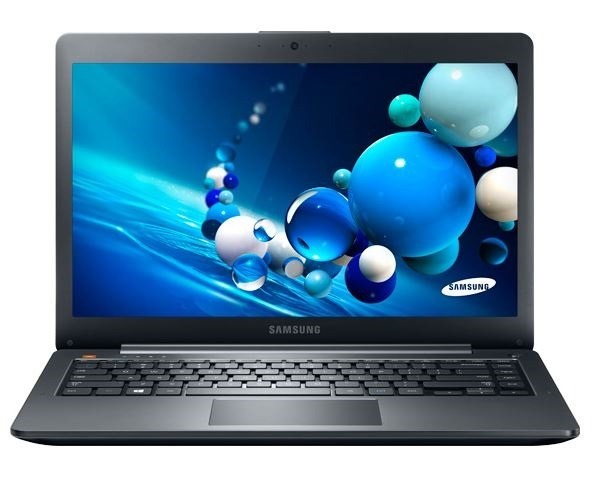 It includes an Intel Core i5-3337U processor, 4GB of RAM, a 500GB hard drive, and makes use of integrated graphics. You can pre-order it today at $949.99, with arrival slated for the end of May. For $250 more, you can step up to the ATIV Book 6, a non-ultrabook laptop with a 1,920x1,080, 15.6-inch display, Core i7-3635QM CPU, 8GB of RAM, 1TB hard drive, and AMD Radeon HD 8770M graphics (but apparently no optical drive). You can likewise pre-order the Book 6 now, but it should arrive a couple of weeks earlier than the Book 5. Both new notebooks run Windows 8 and support Samsung's SideSync technology, which allows your Samsung PC and tablet or smartphone to interact more smoothly together when connected via USB. For instance, you can text from your computer in response to messages on your phone, and you can view maps from your phone on your PC screen. The company hopes this is a clincher if you have a Samsung phone and you are looking to buy a new computer, but that remains to be seen. 1 Komentar untuk "Ultrabook : Samsung unveils ATIV Book 5"